Portfolio containing suite of seven chine collé etchings, including cover page. Printed on Rives heavyweight paper. More colorful than the first series, these etchings are of other favorite containers. 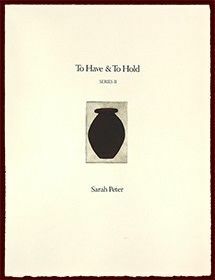 Cover page features a contemporary vase.